Scholarship for Young Hispanic Leaders Now Available for 2019-2020! 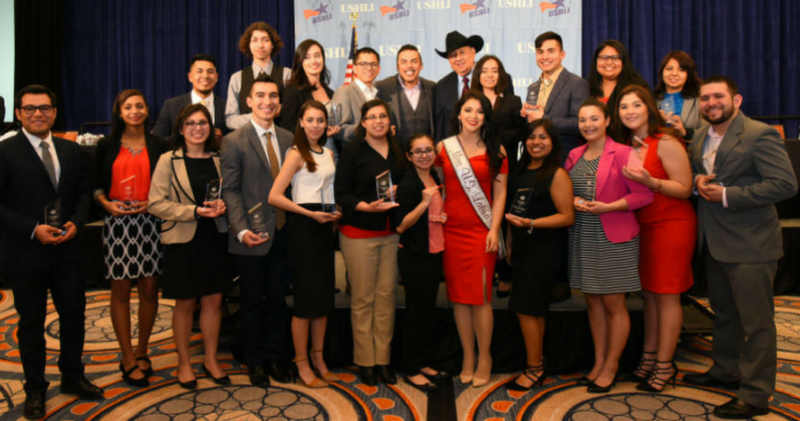 Since 1982, USHLI has awarded over $1.3 million in scholarships and internships to students from disenfranchised groups. Most notably, the Dr. Juan Andrade, Jr. Scholarship for Young Hispanic Leaders seeks to recognize Hispanics students who share Dr. Andrade’s lifelong commitment to servant leadership. Recipients will receive two non-renewable scholarships – a conference scholarship to attend the 37th USHLI National Conference and an academic scholarship ($1,000 for a 4-year institution or $500 for a 2-year institution) for undergraduate students. The application is due November 30, 2018, at 11:59 PM CT. Applicants must be enrolled or accepted for enrollment as full-time undergraduate students, in an accredited four-year or two-year institution in the U.S. or U.S. territories, and demonstrate a verifiable need for financial support. At least one parent must be of Hispanic ancestry. Non-U.S. citizens are eligible to apply (DACA or Undocumented). Recipients must also be available to attend the 37th USHLI National Conference in Chicago, IL, from February 14-17, 2019. Tagged Dr. Juan Andrade Jr.
Next Next post: Submit Your Workshop Proposals for the 37th USHLI Conference!